Roland Barthes (November 12, 1915 – March 25, 1980) was a French literary critic, literary and social theorist, philosopher, and semiotician. Barthes' work extended over many fields and he influenced the development of schools of theory including structuralism, semiology, existentialism, Marxism, and post-structuralism. The common thread running through Barthes' works was a radical egalitarianism. In his earlier, Marxist period, Barthes critiqued what he took to be a fallacy of bourgeoius culture, the capitalist appropriation of signs to create the illusion of a stable, fixed meaning. In the transitional Death of the Author he begins to leave behind the illusions of Marxism, rejecting the notion of author as a stable location for meaning, and thus relativizing all meaning (including that of Marxism as well). In the Pleasure of the Text Barthes dismisses the pursuit of meaning altogether, replacing it with the pursuit of pleasure. The basis of Barthes' thought, although not expressly stated, appears to be a thorough-going atheism. The "Death of the Author" is a symbolic statement about the death of the author of all stable, fixed meanings, God. Roland Barthes was born on November 12, 1915 in the town of Cherbourg in Normandy. He was the son of naval officer Louis Barthes, who was killed in a battle in the North Sea before Roland reached one year of age. His mother, Henriette Barthes, and his aunt and grandmother raised him in the French city of Bayonne where he received his first exposure to culture, learning piano from his musically gifted aunt. When he was nine his mother moved to Paris and it was there that he would grow to manhood (though his attachment to his provincial roots would remain strong throughout his life). Barthes showed great promise as a student and spent the period from 1935 to 1939 at the Sorbonne, earning a license in classical letters. Unfortunately, he was also plagued by ill health throughout this period, suffering from tuberculosis that often had to be treated in the isolation of sanatoria. His repeated physical breakdowns interfered with the progress of his academic career, affecting his studies and his ability to take certain qualifying examinations. However, it also kept him out of military service during World War II. While being kept out of the major French universities meant he would have to travel a great deal for teaching positions, Barthes later professed an intentional avoidance of major degree-awarding universities throughout his career. His life from 1939 through 1948 was largely spent obtaining a license in grammar and philology, publishing his first papers, taking part in a little pre-medical study and continuing to struggle with his health. In 1948 he returned to purely academic work, gaining numerous short-term positions at institutes in France, Romania and Egypt. During this time he contributed to the leftist Parisian newspaper Combat, out of which grew his first full length work Writing Degree Zero (1953). In 1952 Barthes was able to settle at the Centre national de la recherche scientifique where he studied lexicology and sociology. During his seven-year period there he began writing bimonthly installments for Les Lettres Nouvelles, a popular series of essays that dismantled myths of popular culture (later gathered in the Mythologies collection published in 1957). Barthes spent the early 1960s exploring the fields of semiology and structuralism, chairing various faculty positions around France, and continuing to produce more full-length studies. Many of his works were too discursive to the traditional academic view of literary theory. His unorthodox style led to a conflict with another French thinker, Raymond Picard, who attacked New Criticism (an ill-fitting label for Barthes) as obscure and disrespectful to the culture’s literary roots. Barthes' rebuttal in Criticism and Truth (1966), would accuse the old, bourgeois criticism of being unconcerned with the finer points of language and capable of selective ignorance towards challenging concepts of theories like Marxism. By the late 1960s Barthes had established a reputation. He traveled to America and Japan, delivering a presentation at Johns Hopkins University, and producing his most well known work, the 1968 essay “The Death of the Author,” which, in light of the growing influence of Jacques Derrida's deconstructionist theory, would prove to be a transitional piece that would investigate the logical ends of structuralist thought. Barthes continued to contribute with Philippe Sollers to the avant-garde literary magazine Tel Quel. In 1970 Barthes produced what many consider to be his most prodigious work, the dense critical reading of Honore de Balzac’s Sarrasine entitled S/Z. Throughout the 1970s Barthes would continue to develop his literary criticism, pursuing new ideals of textuality and novelistic neutrality through his works. In 1977 he was elected to a rather lauded position as chair of Sémiologie Littéraire at the Collège de France. Sadly, this would come the same year that his mother would pass away. The loss of the woman who had raised and cared for him was a terrible blow to Barthes. He had often written works of theory on photography, dating back as far as his individual works in Mythologies. His last great work was Camera Lucida. The text, which was a meditation on an old picture of his mother, was half theory of communication through the photographic medium and half act of grief to his mother’s memory. Roland Barthes would die less than three years after his mother. On February 25, 1980, after leaving a lunch party held by François Mitterrand (who would be elected president of France the next year), Barthes was struck by a laundry truck while walking home through the streets of Paris. He succumbed to his injuries a month later, passing away on March 26. Barthes' earliest work was very much a reaction to the trend of existentialist philosophy that was prominent during the 1940s, specifically towards the leading figure of existentialism, Jean-Paul Sartre. In his work What Is Literature? (1947) Sartre finds himself disenchanted with both established forms of writing, and more experimental avant-garde forms, which he feels alienates readers. Barthes’ response is to determine what can be considered unique and original in writing. In Writing Degree Zero (1953) Barthes, in keeping with the formalism of his day argues that language and style are both matters that appeal to conventions, and are thus not purely creative. Rather, form, or what Barthes calls ‘writing’, the specific way an individual chooses to manipulate conventions of style for a desired effect, is the unique and creative act. One’s form is vulnerable to becoming a convention once it has been made available to the public. This means that creativity in writing is an ongoing process of continual change and reaction. He saw Albert Camus’s The Stranger as an ideal example of this notion for its lack of any embellishment or flare. In Michelet, a critical look at the work of French historian Jules Michelet, Barthes continues to develop these notions and apply them to broader fields. He explains that Michelet’s views of history and society are obviously flawed, but that in studying his works one should not seek to learn from Michelet’s claims. Rather, one should maintain a critical distance and learn from his errors. Understanding how and why his thinking is flawed will show more about his period of history than his own observations. Similarly, Barthes felt avant-garde writing should be praised for maintaining just such a distance between its audience and its work. By maintaining an obvious artificiality rather than making subjective claims to truth, avant-garde writers assure their audiences maintain an objective perspective in reading their work. In this sense, Barthes believed that art should be critical and interrogate the world rather than seek to explain it. Barthes' many monthly contributions that made up Mythologies (1957) would often interrogate pieces of cultural material to expose how bourgeois society used them to assert its values upon others. For instance, portrayal of wine in French society as a robust and healthy habit would be a bourgeois ideal perception contradicted by certain realities (i.e. that wine can be unhealthy and inebriating). He found semiology, the study of signs, useful in these interrogations. Barthes explained that these bourgeois cultural myths were second-order signs, or significations. A picture of a full, dark bottle is a signifier relating to a signified: a fermented, alcoholic beverage—wine. However, the bourgeois take this signified and apply their own emphasis to it, making ‘wine’ a new signifier, this time relating to a new signified: the idea of healthy, robust, relaxing wine. Motivations for such manipulations vary from a desire to sell products to a simple desire to maintain the status quo. These insights brought Barthes very much in line with similar Marxist theory. In The Fashion System Barthes showed how this adulteration of signs could easily be translated into words. In this work he explained how in the fashion world any word could be loaded with idealistic bourgeois emphasis. Thus, if popular fashion says that a ‘blouse’ is ideal for a certain situation or ensemble, this idea is immediately naturalized and accepted as truth, even though the actual sign could just as easily be interchangeable with ‘skirt’, ‘vest’ or any number of combinations. In the end Barthes Mythologies became absorbed itself into bourgeois culture, as he found many third parties asking him to comment on a certain cultural phenomenon, being interested in his control over his readership. This turn of events caused him to question the overall utility of demystifying culture for the masses, thinking it might be a fruitless attempt, and drove him deeper in his search for individualistic meaning in art. Barthes' work with structuralism began to flourish around the same time as his debates with Picard, making the investigation of structure one intended to reveal the importance of language in writing he felt was overlooked by old criticism. Barthes “Introduction to the Structural Analysis of Narratives” is concerned with examining the correspondence between the structures of narrative with that of a sentence, thus allowing Barthes to view narrative along linguistic lines. Barthes split a work into three hierarchical levels: ‘functions’, ‘actions’ and ‘narrative’. ‘Functions’ are the elementary pieces of a work, such as a single descriptive word that can be used to identify a character. That character would be an ‘action’ and consequently be one of the elements that make up the narrative. Barthes was able to use these distinctions to evaluate how certain key ‘functions’ work in forming characters. For example key words like ‘dark’, ‘mysterious’ and ‘odd’, when integrated together, formulate a specific kind of character or ‘action’. By breaking down the work into such fundamental distinctions Barthes was able to judge the degree of realism given functions have in forming their actions and consequently with what authenticity a narrative can be said to reflect on reality. Thus, his structuralist theorizing became another exercise in his ongoing attempts to dissect and expose the misleading mechanisms of bourgeois culture. While Barthes found structuralism to be a useful tool and believed that discourse of literature could be formalized, he didn’t believe it could become strict scientific endeavour. In the late 1960s, radical movements were taking place in literary criticism. The post-structuralist movement and the deconstructionism of Jacques Derrida were testing the bounds of such structuralist thinking as Barthes indulged in. Derrida identified the flaw of structuralism as its reliance on a transcendental signified; a symbol of constant, universal meaning would be essential as an orienting point in such a closed off system. That is to say, without some regular standard of measurement, a system of criticism that references nothing outside of the actual work itself could never work. But since there are no symbols of constant and universal significance, the entire premise of structuralism as a means of evaluating writing (or anything) is hollow. Such groundbreaking thought led Barthes to consider the limitations of not just signs and symbols, but also Western culture’s dependency on beliefs of constancy and ultimate standards. He travelled to Japan in 1966 where he wrote Empire of Signs (published in 1970), a meditation of Japanese culture’s contentment in the absence of a search for a transcendental signified. He notes that in Japan there is no emphasis on a great focus point by which to judge all other standards, describing the center of Tokyo, the Emperor’s Palace, as not a great overbearing entity, but a silent and non-descriptive presence, avoided and unconsidered. As such, Barthes reflects on the ability of signs in Japan to exist for their own merit, retaining only the significance naturally imbued by their signifiers. Such a society contrasts greatly to the one he dissected in Mythologies, which was revealed to be always asserting a greater, more complex significance on top of the natural one. In the wake of this trip Barthes wrote what is largely considered to be his best-known work, the essay “The Death of the Author” (1968). The notion that criticism should refer back to an author or authorial intention had already been posited by Formalism and New Criticism. But Barthes went further, suggesting that the notion of the author imposes an ultimate meaning of the text. By imagining an ultimate intended meaning of a piece of literature one could infer an ultimate explanation for it. But Barthes points out that the great proliferation of meaning in language and the unknowable state of the author’s mind makes any such ultimate realization impossible. As such, the whole notion of the ‘knowable text’ acts as little more than another delusion of Western bourgeois culture. Indeed the idea of giving a book or poem an ultimate end coincides with the notion of making it consumable, something that can be used up and replaced in a capitalist market. “The Death of the Author” is sometimes considered to be a post-structuralist work, since it moves past the conventions of trying to quantify literature, but others see it as more of transitional phase for Barthes in his continuing effort to find significance in culture outside of bourgeois norms. Since there can be no originating anchor of meaning in the author's intentions, Barthes considers what other sources of meaning or significance can be found in literature. He concludes that since meaning can’t come from the author, it must be actively created by the reader through a process of textual analysis. In his ambitious S/Z (1970), Barthes applies this notion in a massive analysis of one of Balzac's short stories, Sarrasine. The end result was a reading that established five major codes for determining various kinds of signification, with numerous "lexias" (a term created by Barthes to describe elements that can take on various meanings for various readers) throughout the text. The codes led him to define the story as having a capacity for plurality of meaning, limited by its dependence upon strictly sequential elements (such as a definite timeline that has to be followed by the reader and thus restricts their freedom of analysis). From this project Barthes concludes that an ideal text is one that is reversible, or open to the greatest variety of independent interpretations and not restrictive in meaning. A text can be reversible by avoiding the restrictive devices from which Sarrasine suffered, such as strict timelines and exact definitions of events. He describes this as the difference between the writerly text, in which the reader is active in a creative process, and a readerly text in which they are restricted to just reading. The project helped Barthes identify what it was he sought in literature: an openness for interpretation. In the late 1970s Barthes was increasingly concerned with the conflict of two types of language: that of popular culture, which he saw as limiting and pigeonholing in its titles and descriptions, and neutral, which he saw as open and noncommittal. He called these two conflicting modes the Doxa and the Para-doxa. While Barthes had shared sympathies with Marxist thought in the past (or at least parallel criticisms), he felt that, despite its anti-ideological stance. Marxist theory was just as guilty of using violent language with assertive meanings as was bourgeois literature. In this way they were both Doxa and both culturally assimilating. In response he wrote The Pleasure of the Text (1975), a study that focused on a subject matter he felt was equally outside of the realm of both conservative society and militant leftist thinking: hedonism. By writing about a subject that was rejected by both social extremes Barthes felt he could avoid the dangers of the limiting language of the Doxa. This theory asserted that while reading for pleasure is a kind of social act, through which the reader exposes themselves to the ideas of the writer, the final cathartic climax of this pleasurable reading, which he termed the bliss in reading, is a point in which one becomes lost within the text. This loss of self within the text or immersion within the text, signifies a final impact of reading that is experienced outside of the social realm and free from the influence of culturally associative language and thus neutral. Despite this newest theory of reading, Barthes remained concerned with the difficulty of achieving truly neutral writing, which required an avoidance of any labels that might carry an implied meaning or identity towards a given object. Even carefully crafted neutral writing could be taken in an assertive context through the incidental use of a word with a loaded social context. Barthes felt his past works, like Mythologies, had suffered from this fault. He became interested in finding the best method for creating neutral writing, and he decided to try to create a novelistic form of rhetoric that would not seek to impose its meaning on the reader. One product of this endeavor was A Lover's Discourse: Fragments in 1977, in which he presents the fictionalized reflections of a lover seeking to identify and be identified by an anonymous amorous other. The unrequited lover’s search for signs by which to show and receive love makes evident illusory myths involved in such a pursuit. The lover’s attempts to assert himself into a false, ideal reality is involved in a delusion that exposes the contradictory logic inherent in such a search. At the same time the novelistic character is a sympathetic one, and is thus not just open to criticism but also understanding from the reader. The end result is one that challenges the reader’s views of social constructs of love, without trying to assert any definitive theory of meaning. Throughout his career, Barthes had an interest in photography and its potential to communicate actual events. Many of his monthly articles on myth in the 1950s had attempted to show how a photographic image could represent implied meanings and thus be used by bourgeois culture to infer ‘naturalistic truths’. But he still considered the photograph to have a unique potential for presenting a completely real representation of the world. When his mother, Henriette Barthes, died in 1977 he began writing Camera Lucida as an attempt to explain the unique significance a picture of her as a child carried for him. Reflecting on the relationship between the obvious symbolic meaning of a photograph (which he called the studium) and that which is purely personal and dependant on the individual, that which ‘pierces the viewer’ (which he called the punctum), Barthes was troubled by the fact that such distinctions collapse when personal significance is communicated to others and can have its symbolic logic rationalized. Barthes found the solution to this fine line of personal meaning in the form of his mother’s picture. Barthes explained that a picture is not so much a solid representation of ‘what is’ as ‘what was’ and therefore ‘what has ceased to be’. It does not make reality solid but serves as a reminder of the world’s inconstant and ever changing state. Because of this there is something uniquely personal contained in the photograph of Barthes’ mother that cannot be removed from his subjective: the recurrent feeling of loss experienced whenever he looks at it. As one of his final works before his death, Camera Lucida was both an ongoing reflection on the complicated relations between subjectivity, meaning and cultural society as well as a touching dedication to his mother and description of the depth of his grief. In 1971, Barthes wrote "The Last Happy Writer" which characterized Voltaire as that writer. In the essay he commented on the problems of the modern thinker after discovering the relativism in thought and philosophy, discrediting previous philosophers who failed to do so. His characterization of Voltaire failed to persuade Voltaire critic, Daniel Gordon, translator and editor of Candide (The Bedford Series in History and Culture). "Never has one brilliant writer so thoroughly misunderstood another." Roland Barthes' influence is felt in the multiple fields of inquiry, including structuralism, semiology, existentialism, Marxism, and post-structuralism. Today, the influence of his works can still be felt in all fields that concern themselves with the representation of information and models of communication, including computers, photography, music, and literature. 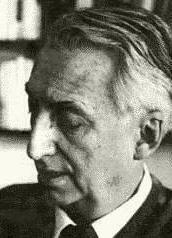 However, one consequence of the nature of Barthes’ approach is that he did not create a particular school of thought. He does not have a dedicated following of thinkers who attempt to model themselves after his theories. Barthes’ work was always adapting and refuting notions of stability and constancy, which means there could be no canon of thought to serve as model. Rather, by giving rise to the notion of individualist thought and adaptability rather than conformity, any thinker or theorist who takes an oppositional stance to inferred meanings within culture can be thought to be following in Barthes’ footsteps. "Between Zero and a Hard Place" – by Gilbert Wesley Purdy. Essay on Barthes' Writing Degree Zero. Roland Barthes: Myths We Don't Outgrow by Marco Roth. "Toys" – Excerpt from Mythologies. "Roland Barthes" – "Comment vivre ensemble" ("How to live together"), Lectures at the Collège de France, 1977 and "Le Neutre" ("The Neutral"), Lectures at the Collège de France, 1978. This page was last modified on 16 July 2015, at 15:16.